Her talk entitled “My year of saying yes to everything” was absolutely inspiring. But that’s what TED is about, as you already know if you were one of the 124 people who registered for this past Tuesday’s simulcast at UCCI of the big TED 2016 event in Vancouver, Canada. However, nothing beats the thrill of seeing live speakers, engaging with them face-to-face, and discussing those great ideas with other TED event attendees. 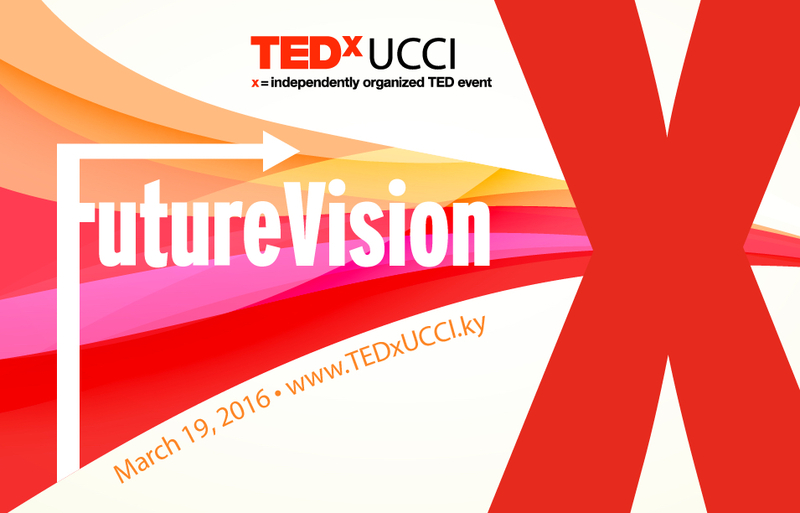 So, keep in mind that just next month, on March 19th, you can experience the same excitement of live speakers and great ideas at TEDxUCCI 2016. The theme this year is FutureVision…and it will undoubtedly be the most insightful TEDx ever for investigating the many pressing issues facing Cayman and the world. From 10 a.m. until 3 p.m., you’ll hear great talks on topics including conservation, energy use and production, the ocean’s potential, heath, technical literacy, economic and social sustainability, creative professions, and dealing effectively with today’s complex world. There will also be a new production by the UCCI theatre arts students and great food prepared by UCCI’s Hospitality students. Nick Robson of the Cayman Institute shall be presenting a talk entitled Predicting The Future. Come out and be entertained and hopefully learn a thing or two. Early Bird 2-for-1: Bring a Friend for Free! 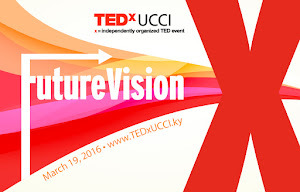 Through the end of this week, two registrants can pay just one admission fee to attend TEDxUCCI 2016. Both people must register for the TEDxUCCI 2016 event online atwww.TEDxUCCI.ky and then both registration confirmations can be taken to the UCCI campus within 10 working days for payment. As long as both registrations were made before February 21st, only one admission fee will be charged. Admission costs $25 for non-students and $10 for students. But this week’s 2-for-1 special can provide as much as a 50% savings for TEDx-enthusiasts on a budget. TEDxUCCI 2016 is hosted by UCCI and generously sponsored by the Ministry of Community Affairs, Youth & Sports and Foster’s Food Fair.